Dominique was born and raised in southern Washington State where she started dancing at the age of four. She continued dancing all the way to the University of Washington where she graduated with a degree in Dance with a minor in Education, Language, and Societies in 2017. Dominique spent her four years at the UW dancing, choreographing, stage managing, and was the Assistant to the Director for the Chamber Dance Company. At a young age, she was diagnosed with moderate-servere scoliosis. While dancing helped with overall strength, she was still experiencing discomfort and pain from her imbalances. A ballet instructor recommended she try Pilates to help strengthen her core and work on the imbalances, and her pain eased. 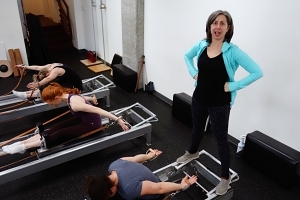 After experiencing the positive changes in her own body, her interest in Pilates grew and she knew she wanted to pursue more. 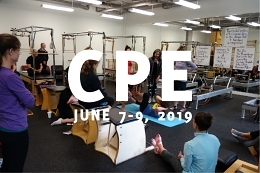 Dominique studied with lori Coleman-Brown and graduated from the Atlas Pilates comprehensive Teacher Training Program in 2018.